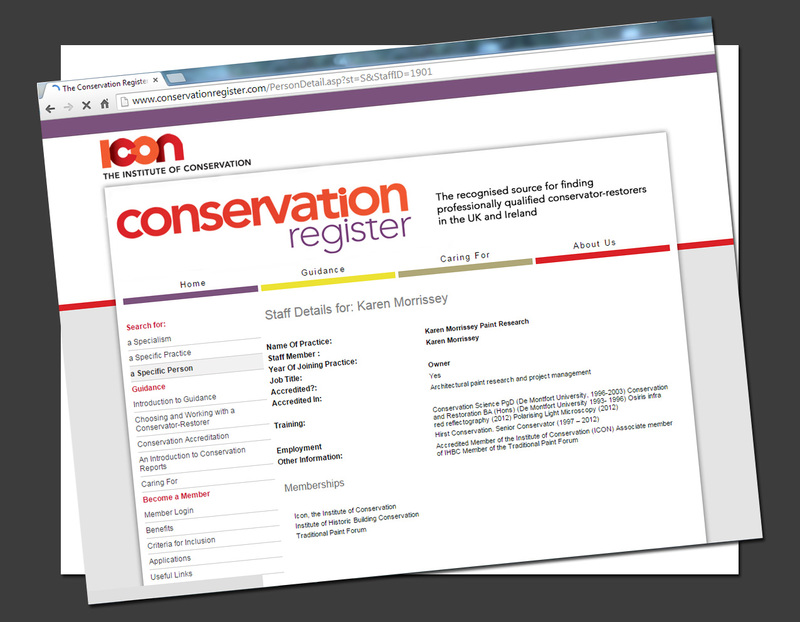 You can find us on the Icon Conservation Register; click here to take a look. Described on the Icon website, the Conservation Register “…provides up-to-date information on who to go to for advice and expertise on the repair, restoration and care of valuable objects ranging from paintings to pottery to historic interiors and monuments, archaeology and archives to steam engines and sculpture. During December and January, we were busy working with the National Trust to assess and record the decorative history of the door joinery of the Gothic Folly at the Wimpole Estate. The aim of the assessment was to establish how the external joinery of the main tower had been painted from its construction in 1772 to the present day. The work was challenging; not only was the site bitterly cold, but the main door is missing, and paint research revealed that the lower door has been stripped of early finishes. Through assessment of archival documentation and technical assessment of the paints, we were able to establish 13 decorative schemes on the main door frame. The paints were very degraded, but careful analysis of pigments, cross section assessment of the paint samples and painstaking uncovering tests, layer by layer, allowed us to chart all of the remaining schemes. You can read more about the results on the National Trust’s Wimpole Estate blog here.